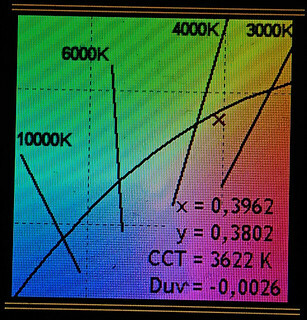 Chiming in after slicing the dome off two more LH351D 4000K 90CRI leds to report that the slicing results are very consistent: the tint ends up around 3500K and below the BBL. Judged by eye it is an extremely good rosy tint. For slicing, this time I used a brand new Wilkinson oldschool razorblade, in three slices: first the top of the dome, then close to the final height, then the last thin slice to just above the phosfor. No sanding. I can confirm though, that the tint of this LED gets warmer and seemingly more to the red side when you slice the dome. Very nice result here too. Bit of a messy slice though, but under a TIR you won’t notice that. … Bit of a messy slice though, but under a TIR you won't notice that. 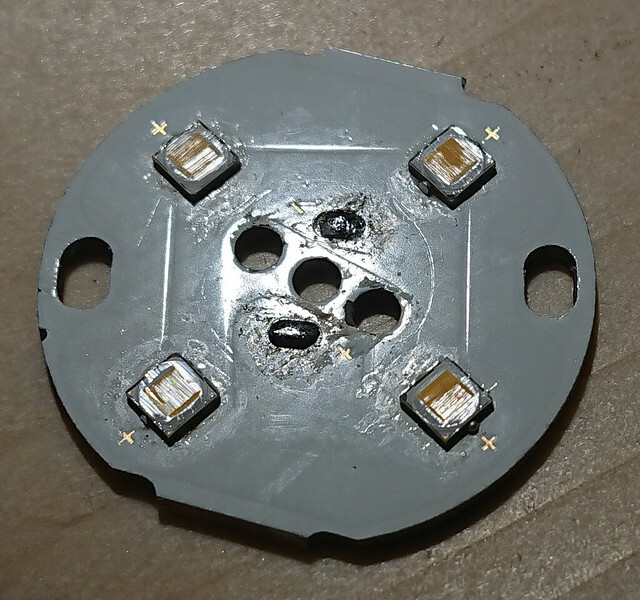 I've sliced some XHP50A emitters, at ≈1.1mm without sanding too as it kills the bond wires rather easily. In 3 or 4 slice bites from different angles. Of course ends up looking a bit messy, but that is unnoticeable even below an aspheric at focal lenght distance “batsignal” mode. I do notice slight barrel distortion at the emitter projection edges and dome remainings, but looks good other than that. 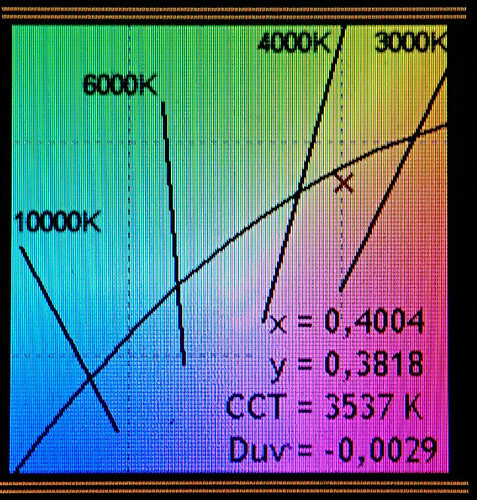 I like the result of this method, there's noticeable intensity gain and probably the output loss is not as dramatic as with more radical dedoming ways. 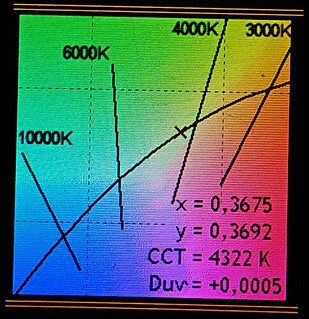 Guys, has anyone made the output test of these 351D 5000K 90cri? I would like to use with C8f 21700 and I want to know what can I expect. You can count on 1000 lumen at 3 Amperes per LED. However, I would not overdrive the LED too much. The 90CRI variants tend to draw quite a bit more current than the 70CRI. 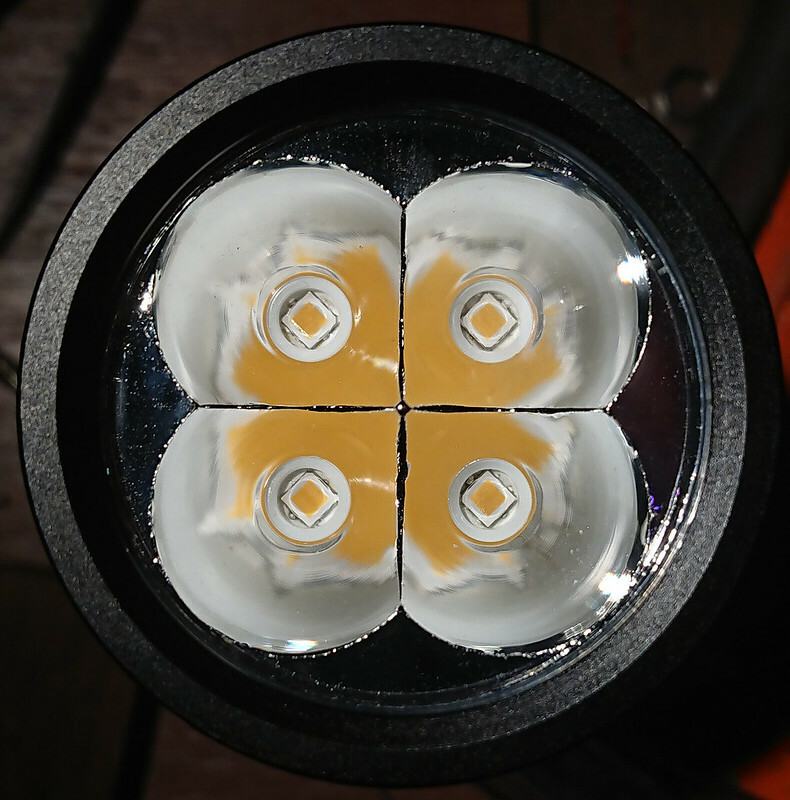 Because of this, efficiency drops quicker as you push the LED harder, and the LED ends up in its inefficient point of luminosity sooner. I wonder what a 5000k 90cri dedomed would do? If it would shift the same way but maybe 4200K? 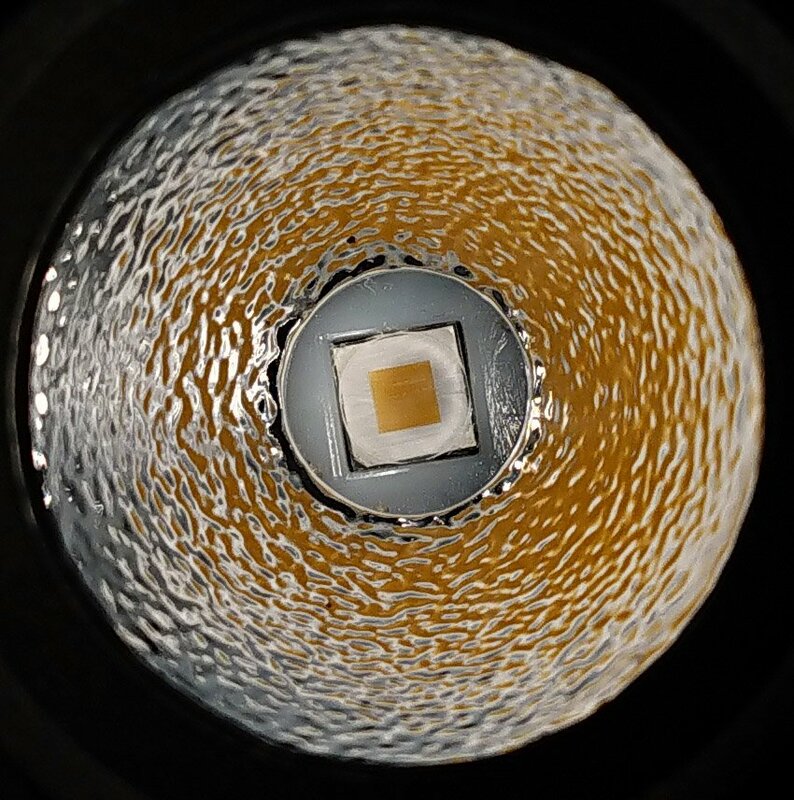 I have several of the 5000k 90cri leds bought from the Arrow electronics deal, but I have no way to test them. I have no idea what it does, dedoming/slicing is like magic. Only rule that I gathered over the years is that dedoming high CRI leds always returned nice tints. How about if I send you a couple to test? I sliced the 4 LH351D 4000K 90CRI leds in my SP36 sample, and took some measurement before and after. I should also have done tint tests before the mod, but I forgot them . 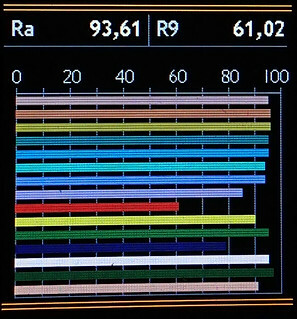 So the tint results before slicing will be represented by the hotspot of a Q8 that I have that has the same leds, that should be similar. 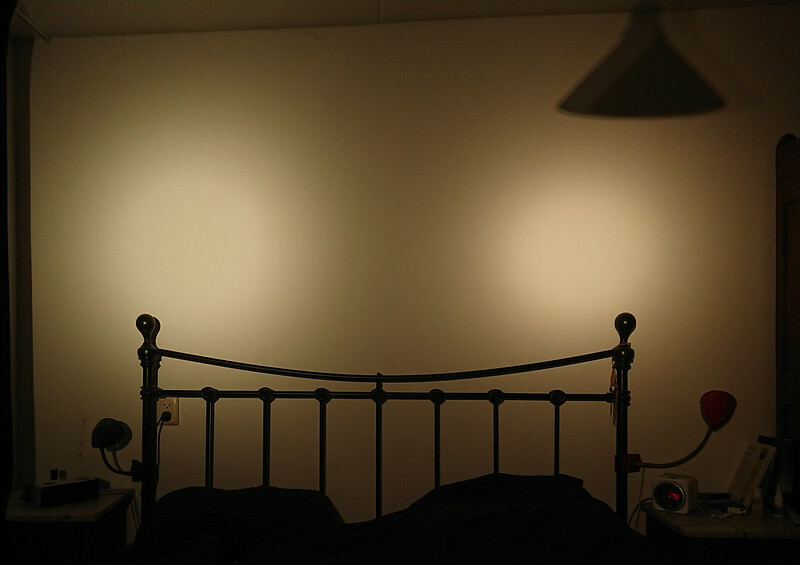 Here’s the beam of the Q8 with intact leds compared to the SP36 with sliced leds next to each other on a white wall. Phone camera white balance set to sunlight, the tints are not completely accurate to reality, but you get an idea. The tint difference is larger in reality than in this picture. In my own experience the tint went from ok but not really nice (unsliced) to super-nice, rosy and not yellow, nice both at low and high current. 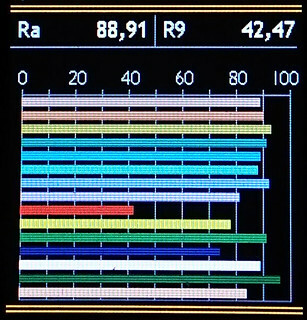 The tint improvement is larger than the tint/CRI data suggest. I did notice some slight rings in the beam after slicing the leds but that is a SP36 thing, has nothing to do with the leds. It may even be just present in the prototype SP36 that I have. 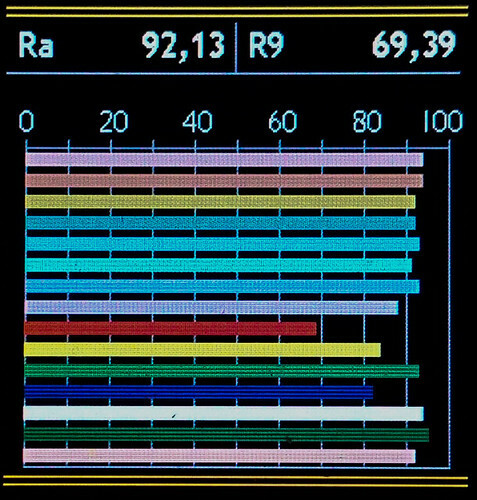 Now for the output loss, I did measure that before and after. 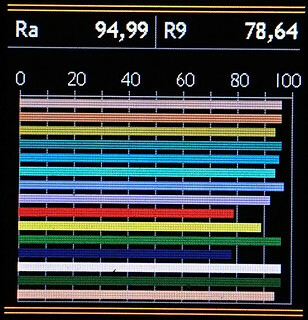 As I noticed before in other mods with it, after slicing the 4000K 90CRI LH351D, I lost a lot of output, more than with an oldschool Cree dedome. Measurements with fully charged 30Q’s. The final cost of changing the SP36 from 70CRI cool white with tint shift in the beam (the stock XP-L2 leds, about as bright as this host can go) to 93CRI 3500K with no tint shift in the beam (the sliced LH351D 4000K 90CRI leds) is 34% light loss. For me that is an ok price payed. 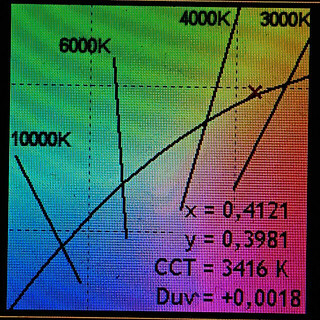 Thanks djozz, quite enlightening shaved dome tint and CRI study for high CRI emitters. It is quite pleasing to see it actually enhances CRI a little bit further. 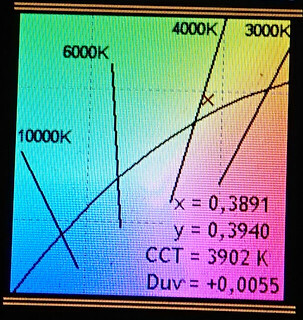 Now I understand why my sliced SK98 XHP50A 4000K CRI90+ looks noticeably warmer than a 4000K emitter in reflector. I like this. I also have another sliced XHP50A 3500K CRI90+ G4 flux bin waiting for action, it's gonna look warm and cozy. 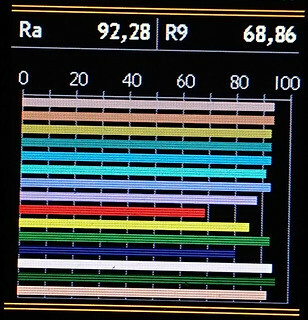 34% light loss? 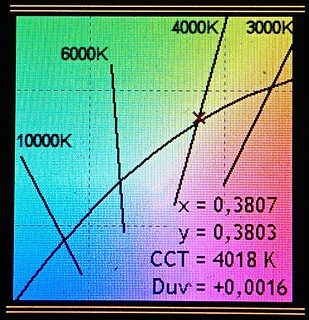 Since our eyes and brains do not perceive the different visible light spectrum frequencies with equal sensitive one could also say those low CRI emitters are “gamed” as more energy is invested in the frequencies we are more sensitive to, something which can be seen as a sort of cheat which inflates the lumen figures. I can pleasingly deal with such “loss”. 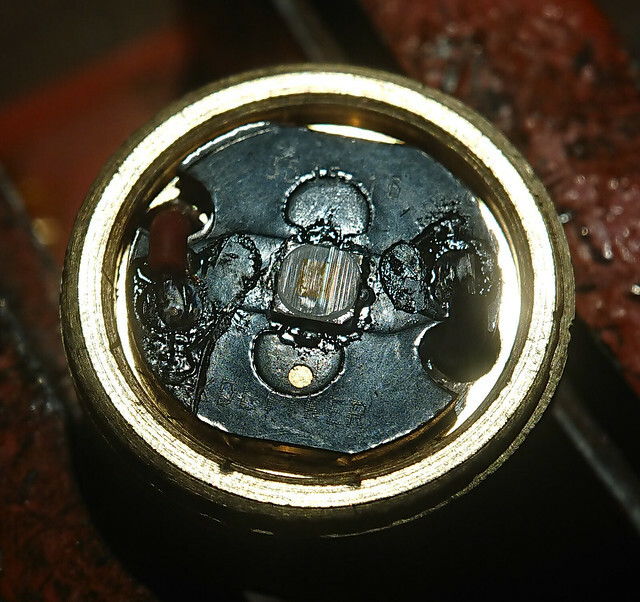 What the loss of output for Cree dedome? 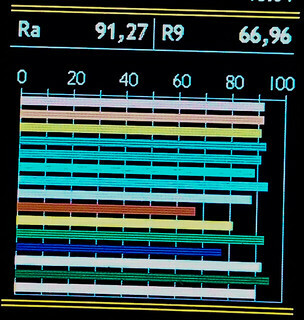 I always assume the loss should be like xpl hd -xpl hi differences. ~3 bin or ~20%. The few times that I measured it (old type cool 70 CRI Cree XP-E2, XP-G2 and XM-L2), the light loss was close to 10% for a clean dedome. But it may vary, I only measured it a few times. Interesting,thanks. It is effectt of geometric optics, maybe it depends of die dimensions. Where these Samsungs all from AEDs first sale? 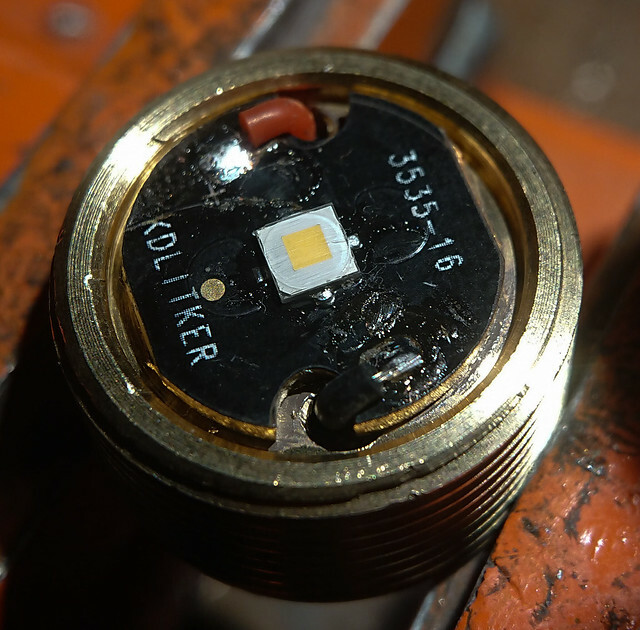 I did not test the slicing of that exact led (I could not find my stash) but I did try it on the 5000K 90CRI LH351C, the SPHWHTL3D50GE4RTMF to be exact, that maukka did extensive testing on (link). 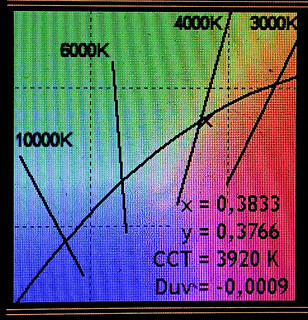 The effect of slicing this led should be similar to slicing the 5000K 90CRI LH351D though. I now did my homework and did do the tint measurements before the slicing too. I modded a Utorch S2+ clone with the SPHWHTL3D50GE4RTMF, and with a 2.8 A biscotti driver. All tint measurement were done in the hotspot (which is the most relevant part of the beam that you want data of). Then I sliced the led, not the cleanest slice but I’m beginning to suspect that how close you are to the die has more impact on the led behaviour than how even your surface is. 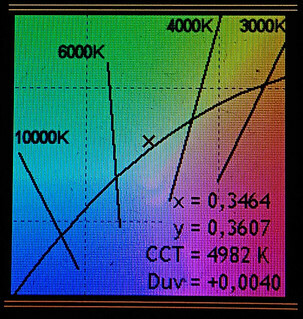 Now apart from the colour data, that show a very similar effect as the slicing of the 4000K version (lower colour temperature, preservation of CRI, closer to the BBL), the beam looks like a very good neutral tint: no green, not too yellow, not too rosy, I like to call good coloured neutral tints “brownish”. Here is a beam shot for an impression, all lights are at fairly low level, the sliced LH351C beam is in between a (led=intact) LH351D 4000K 90 CRI beam (Q8), and a 219B 4500K R9080 (ROT66, beam from TIR optic). I also measured the light loss from the slicing of the led and I now got -19%, so that is also similar to slicing the other Samsung led. One thing not mentioned before: slicing causes better tint and less light, but of course it also decreases the spot size of your beam and increases throw (did not measure by how much, my educated guess is 35%-40%). 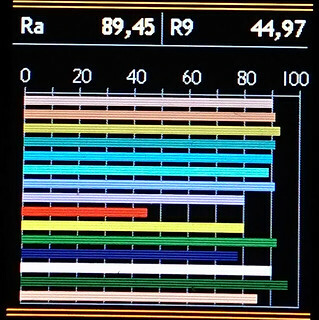 This can be relevant to what flashlight you are building. Thanks a lot for these efforts djozz. If you feel like it, you could also do some staged slicing measurements in some other emitter. I mean, to see how does it compares a not so close slicing versus a close one with regards to output, hotspot size, temperature and CRI. Should be a gradual regression/progression in those parameters, I believe. Tomorrow my work week starts again, little chance for testing then. Thanks for the tests djozz! Looks like there will be some Samsung shaving in my future. djozz, could you give a link to technology of such dedoming ? Want to try it too. Thanks for the testing Djozz. Now we know . I’ll definitely try a dedome in the next mod or two I do. 4300k is right up my alley. Thanks djozz, this is very helpful information and makes me happy that I put this LED into my headlamp. Will surface be smooth enough after this?